Germantown Mill Lofts is proud to offer this unique living option available for lease beginning December 2016. In an effort to celebrate the history of the original Louisville Cotton Mill, Underhill Associates wanted to do homage to the location of the neighboring rail tracks and provide a nostalgic semblance of years past. Our retrofitted caboose train cars are semi-furnished to fit the essential needs of everyday living! At 330 sqft, each caboose car offers comfortable living quarters in a efficiency sized space. 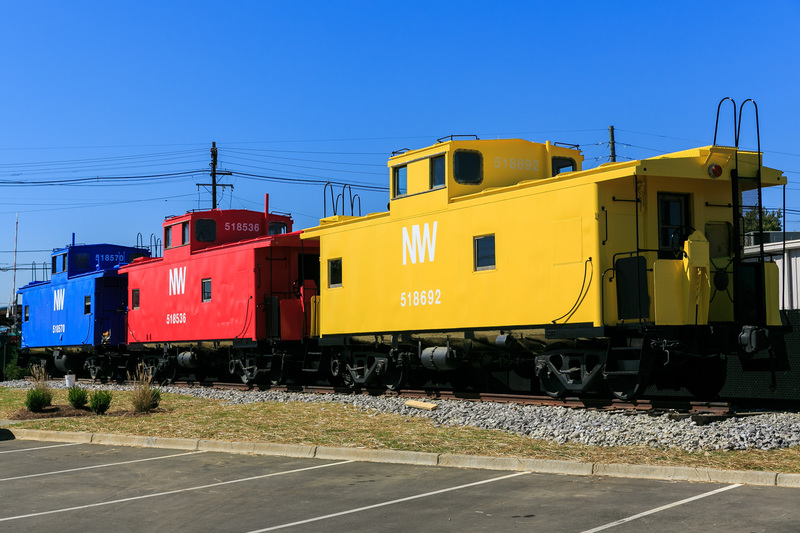 These cabooses are perfect for a single individual who wants to live somewhere different and be part of the growing Germantown neighborhood. Each caboose includes a lofted sleeping space, a refurbished kitchen with built-in booth seats, a small built-in desk and a full bathroom. They are unique housing units, with the trend toward micro-housing and tiny home living. Contact our leasing office for rental inquires and to schedule your private tour today!